Class mare Volpe Veloce maintained her unbeaten record at Tauranga when she cruised to victory in the Group 2 Windsor Park Stud Japan NZ International Trophy over 1600 metres on Saturday. The five-year-old Foxwedge mare looked all at sea in her most recent start when finishing well back in the Group 1 weight for age Haunui Farm Classic over 1600 metres at Otaki on a Slow eight track but back to the Dead four surface at Tauranga she showed just what she is capable of in stunning fashion. Settled well back off a solid speed set by The Mitigator, rider Michael McNab had plenty of horseflesh in front of him with 600 metres to run. McNab didn’t panic as he eased Volpe Veloce to the outside and sent his mount forward. Turning for home Australian visitor Endless Drama had shot to the front and looked hard to catch before Volpe Veloce hit top gear at the 300 metre mark. Overtaking Endless Drama in the space of two or three huge bounds before easing to the line to score comfortably from Watch This Space who dashed home late along the rail after being held up approaching the home turn. 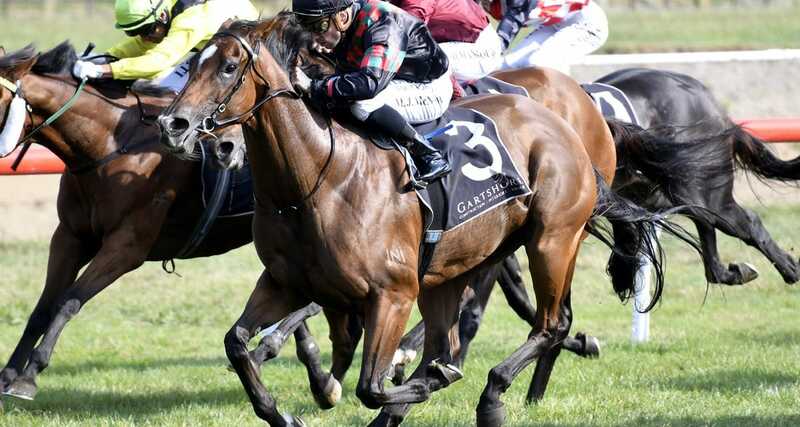 Co-trainer Graham Richardson, who prepares the mare along with Gavin Parker, was relieved to see his stable star bounce back to winning form after some frustrations in her last two starts at Group One level. “She’s a great chaser and everything panned out this time,” Richardson said. Richardson also confirmed that Volpe Veloce would now have another tilt at Group 1 level in the Fiber Fresh New Zealand Thoroughbred Breeders’ Stakes over 1600 metres at Te Aroha on April 6. Foxwedge is now standing at Woodside Park in Victoria and his service fee is expected to be announced in the coming weeks.